“Wet N Wild My australian cousin has come back to Wales to see what the British summer really has to offer. He likes his theme parks and bungee jumping so what better way than to ‘wet suit’ him up and throw him (safely) off of cliffs and quarries. Wasn’t our first time with Celtic Quest and certainly wont be our last. Picturesque setting with a great qualified team to take you round the beautiful scenery of West Wales. 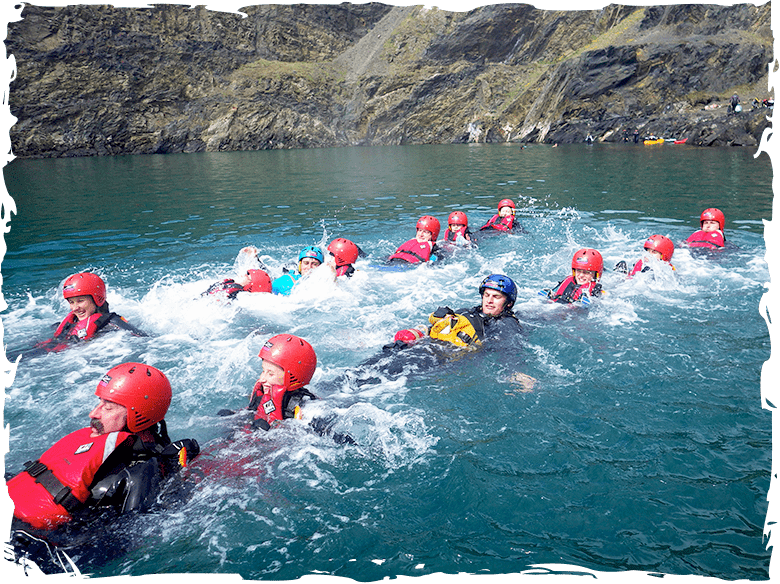 We’ve done it with a group of 20 and a group of 4 both times incredible accommodating both with the activities and the gear supplied (which is all top quality-no holes). There is a reason that it was awarded the Best experience in Wales – Bloody Crakin’. Equipment: Very Good. They’ll keeps you warm Instructors: Excellent. Professional, relaxed, attentive – absolutely on the ball. 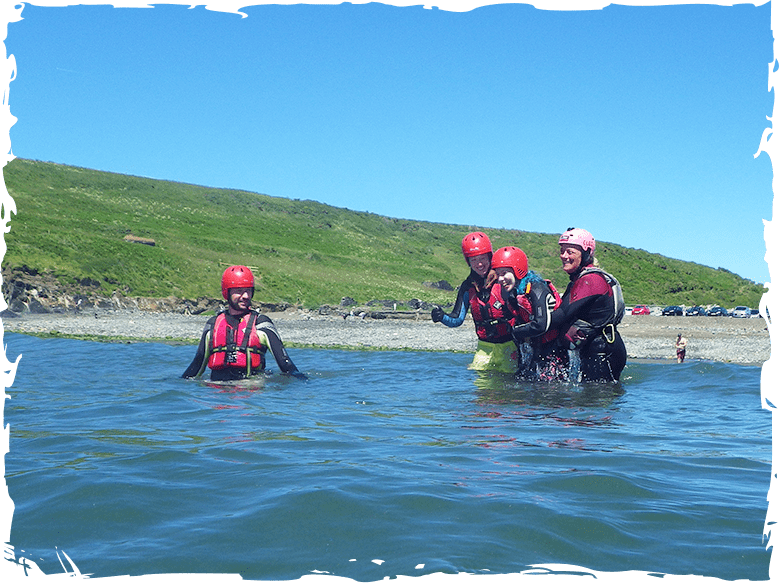 We conducted a coasteering session on the afternoon of 03/08/14 out of Abereiddy beach. The staff are young and relaxed, but very experienced and absolute professionals. Equipment is well maintained – they provided all the necessary bits, and carried spares for any items you may have forgotten to bring (which they tell you in the email). 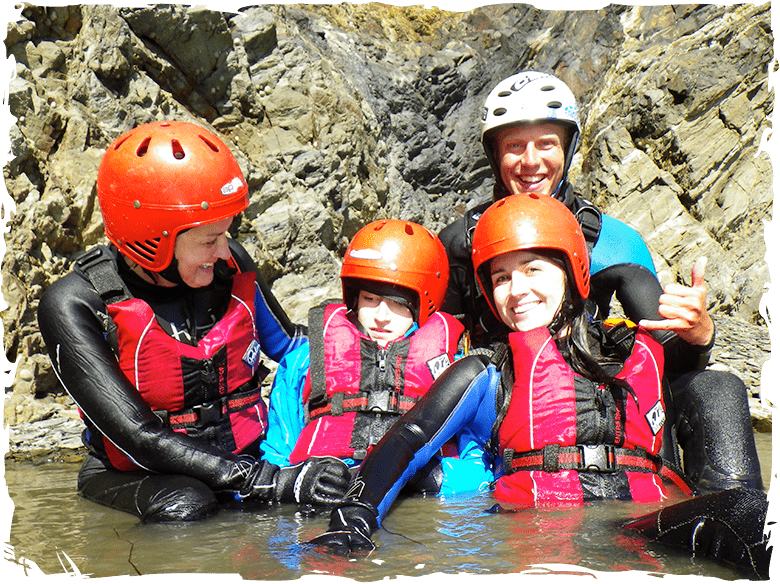 Wetsuits are good quality 5mm, and they have a whole range of sizes – they also provide a DRY wetsuit which is great….no one likes putting on a wet wetsuit. Briefing was succinct – not too much info you start to forget, not too little that you worry you don’t know what you’ve let yourself in to. After a brief walk in, we started off in a progressive fashion, getting the lower level drops and tumbles in to build confidence. The instructor to participant ratio was high, and they are always there ready to assist; consistently guiding you through everything individually. 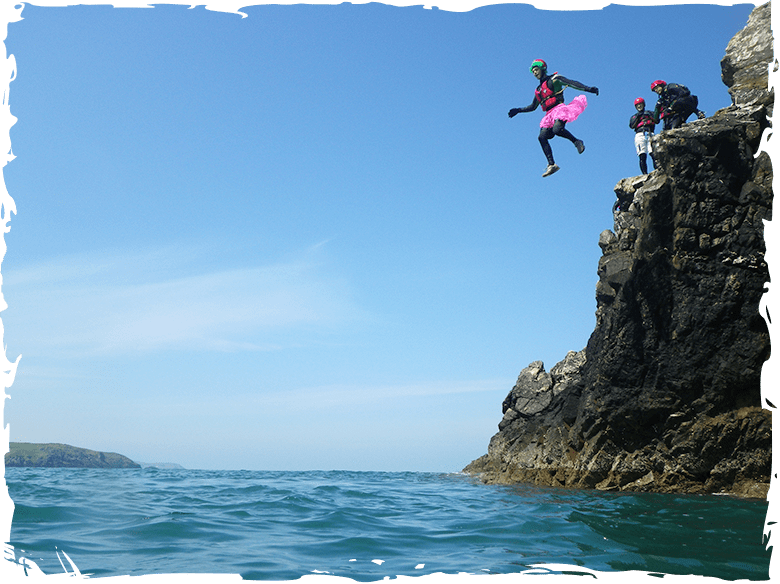 Having coasteered before, myself/friend were fortunate enough to break away from the larger group and go off and do some higher jumps, and get turned over in an ocean washing machine – all fantastic stuff, and much gratitude to Will who took for this. 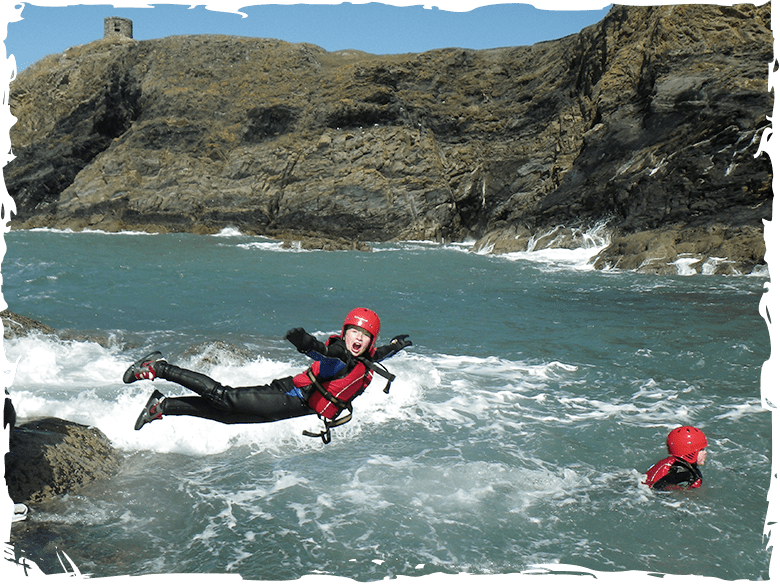 Without a doubt, this is the most demanding and rewarding coasteering session I have done….but through my choice; they make it as hard or as easy as you want, or can do. I’ve nothing negative to say at all – I would absolutely endorse them. Thanks to all the team. 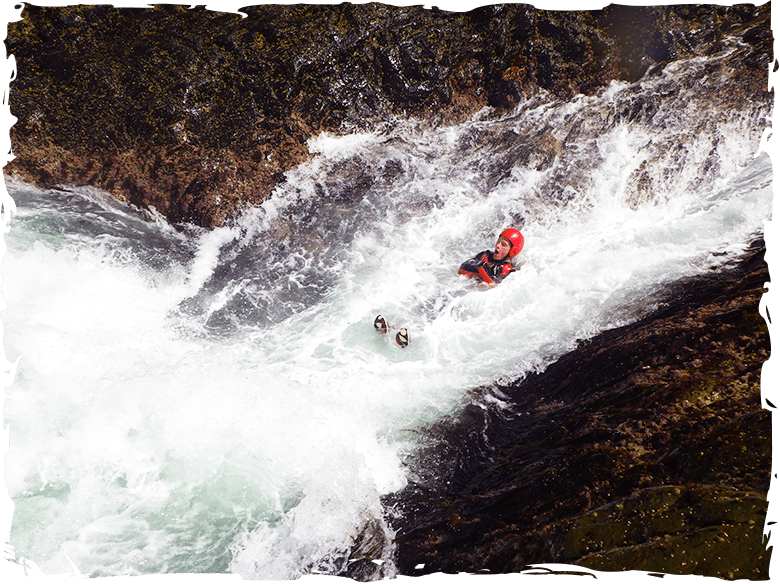 “Awesome Experience by Awesome Guide! Absolutely fantastic experience. Family of five ranging from 9 – 50 yrs old. Gaz was a superb leader and made their experience totally awesome. If you don’t all fancy having a go it’s just as fun watching (from up high) – we could hear a lot of what was being said 🙂 Honestly Billy is still buzzing now and planning to go back when he’s old enough to do the BIG jump. He went as high as he was allowed and all the groups were so supportive cheering him on! 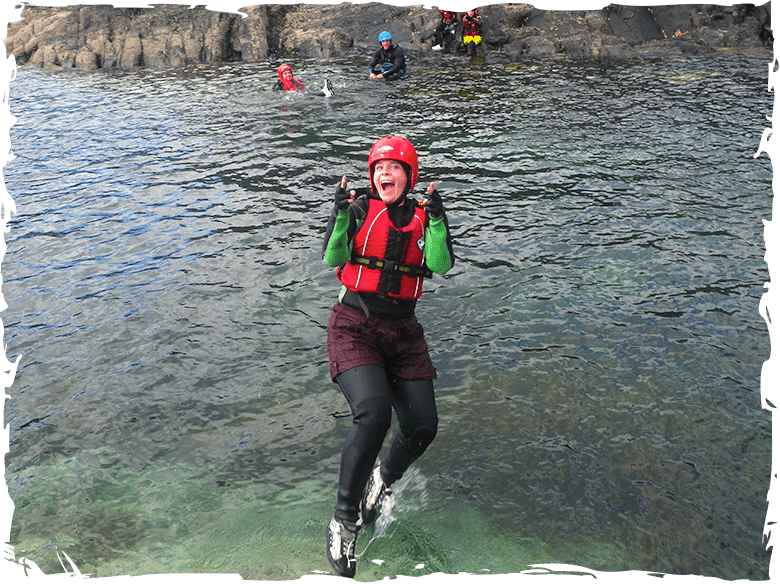 “Fantastic Experience This was my third coasteering event and I have to say it was the best of the lot. I would like to thank Clio and Gaz for providing the right balance of safety advice coupled with some well judged banter for a group of 10 lads. The reasons for rating this event so highly. The location. We went straight from the changing area into the sea. On previous occasions there has been a 20 minute walk or a minibus ride to the start area. The kit. It may have been good fortune or good judgement from Clio but the wet suite actually fitted this time. The final jump. The reality it that with a group like ours it is all about how high the final jump is and the lagoon jump at the end was the highest jump I have done so far. It was high enough that the whole group fell silent as we prepared to make the final leap. The pictures and videos. Within 15 minutes of us getting back to the changing area we had a USB stick with all the pictures and some videos of the day at a price I would consider great value. 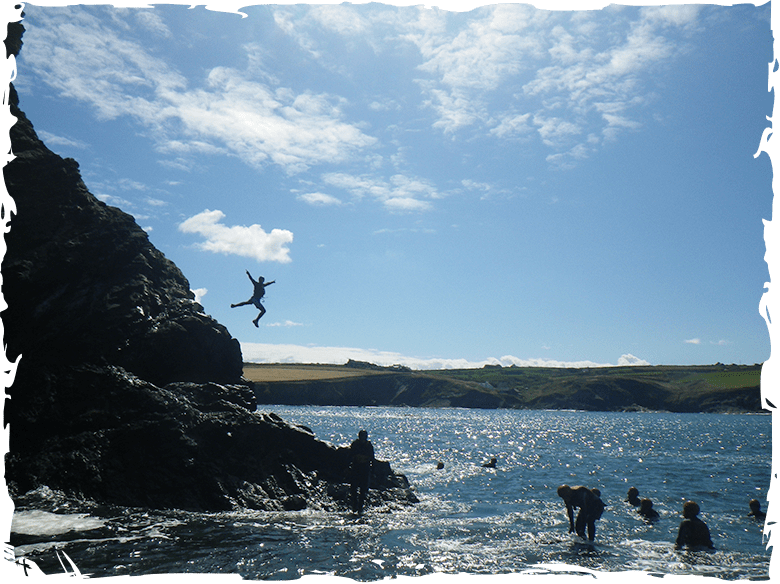 On a few occasions when we were jumping off some of the lower levels we were encouraged to perform various poses when entering the water. When you see the pictures at the end you can see why. There are some stunning pictures. “5th year running! CQC must be good because we keep on coming back! As usual our trip on 27 July was well organised, plenty of good kit, sensible but fun safety precautions and 4 guides who know what they are doing and full of enthusiasm to share their knowledge with the visitors. Cleo, Will, Gaz and Dave surely have the best office space in the Universe and today the sun shone, the sea sparkled and the swell was enough to make the ‘washing machine’ a brine filled, disorientating and laugh racked experience! 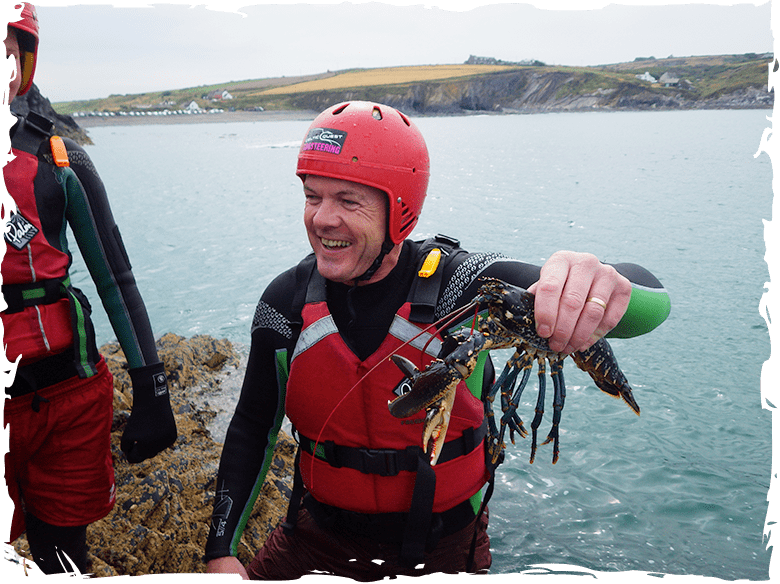 They were not wrong, as the clouds gave way to blue skies and in there capable hands we scrambled, flopped, bombed, dove, swam, and thanks to one massive wave our 10 legged ninja crab wiped out….it was a great adventure and I would definitely recommend this to anybody. 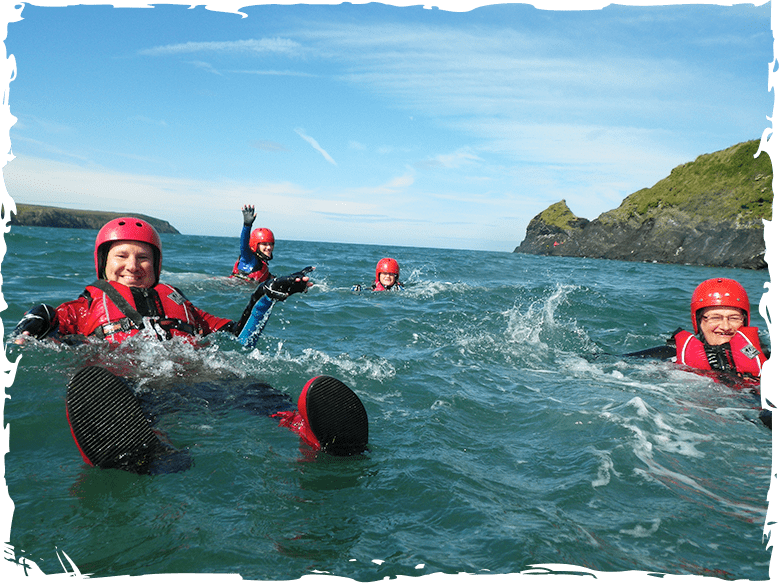 If your in Wales give these guys a call and go have some wet fun…you will not regret it! 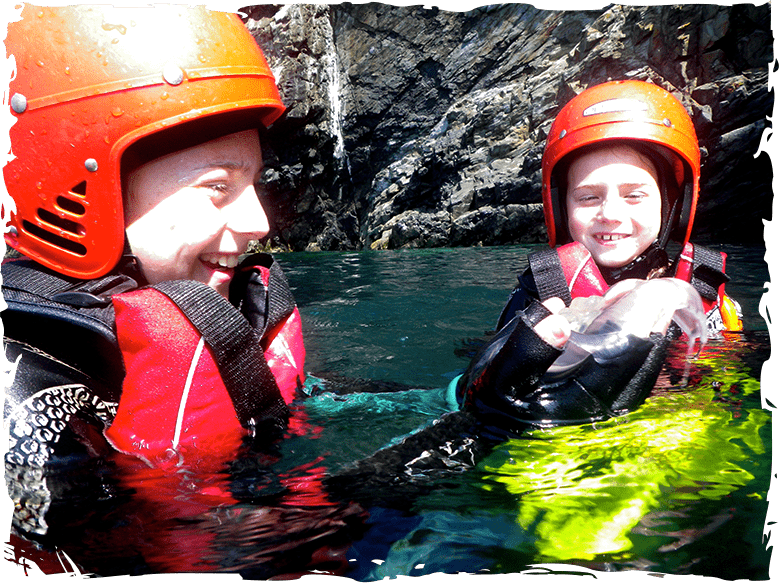 “The stuff of lasting Holiday Memories – Fantastic Fun for the Whole Family Last year the kids went with their Dad while I took the role of official photographer from a safe vantage point. It looked so fantastic and they were so hyped afterwards that I was sorry I didn’t go. So this year we all went and I wasn’t disappointed! 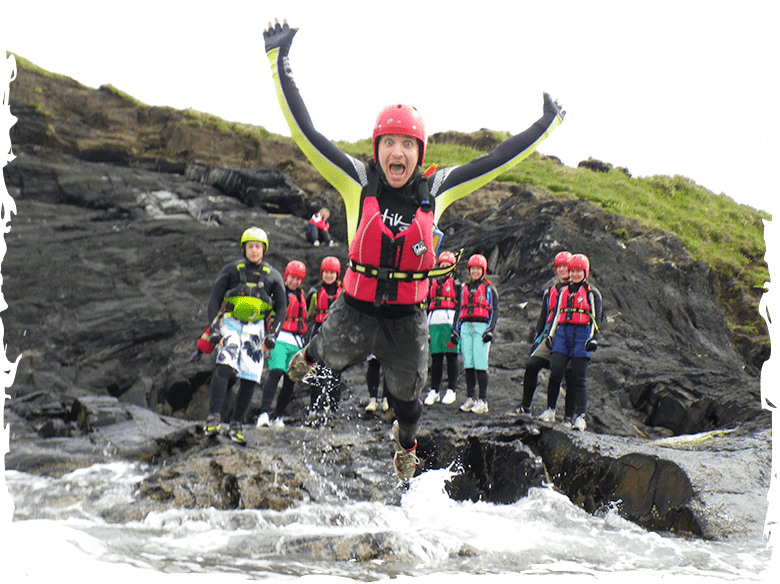 Quite the opposite – thrilled, terrified, excited, exhilarated, proud, smug and because of the great kit they provide – comfortable and warm too! Will, Gaz and Morgan took us out and they were great fun – always encouraging, ready with a helping hand and a little bit crazy (think you would have to be a little bit crazy to do that day in and day out). 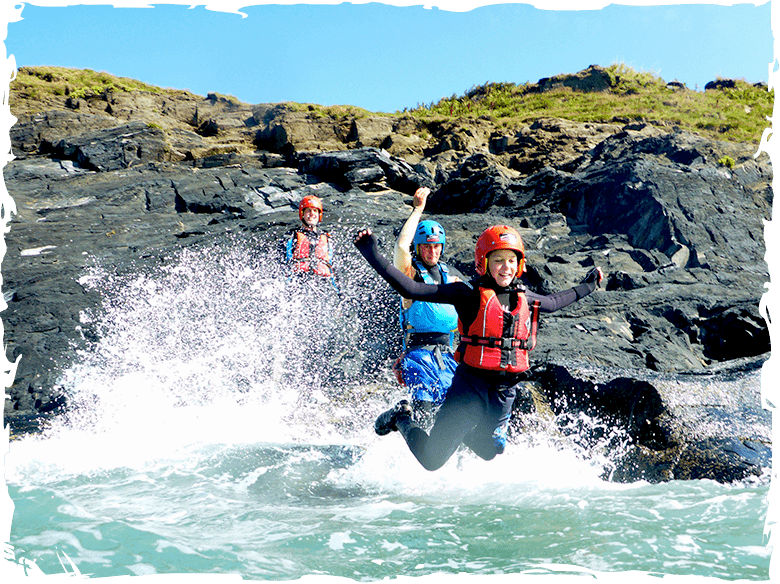 The jumps steadily got bigger and bigger culminating in the highest jump into the beautiful blue lagoon. What a spot! 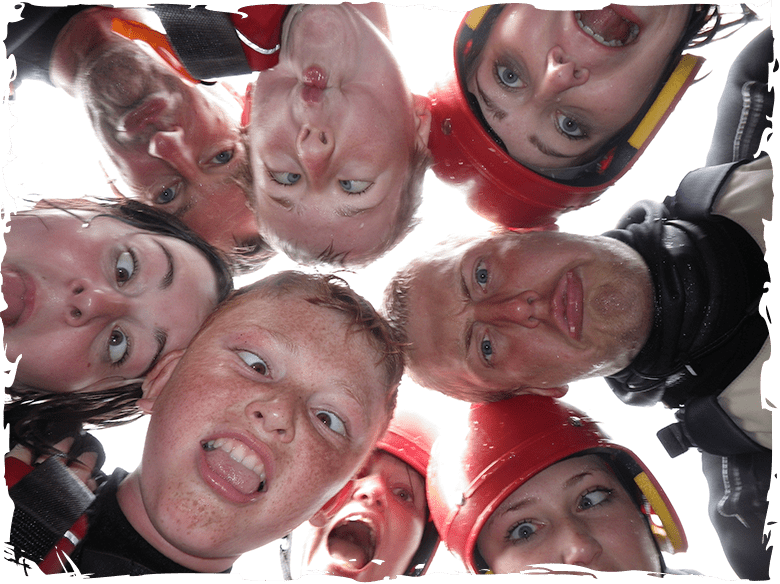 Also, the instructors carry a little waterproof camera, taking photos and videos of your stunts which make a fabulous keepsake at the end at a very reasonable price. Great idea. 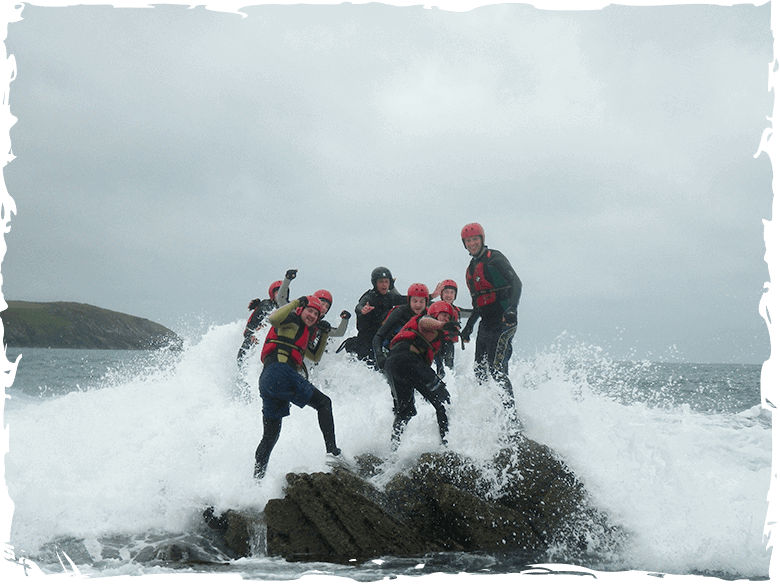 We were lucky with stunning sunny weather this year but this activity would be just as great if it were raining – after all you are going to get wet. Very wet! Booking is easy over the phone, there are toilets and a tea van at Abereiddy. Parking is free.